We offer a full load delivery service to the European mainland. This is achieved by utilising our own dedicated fleet of vehicles including tractor units, artics, rigids and sprinters. Add to this a fleet of over 150 curtain-sided trailers and we offer the necessary infrastructure to provide a highly effective quality service to our customers. We also offer added value delivery services with vehicles fitted with Moffett Mounty forklifts and tail-lifts if required. 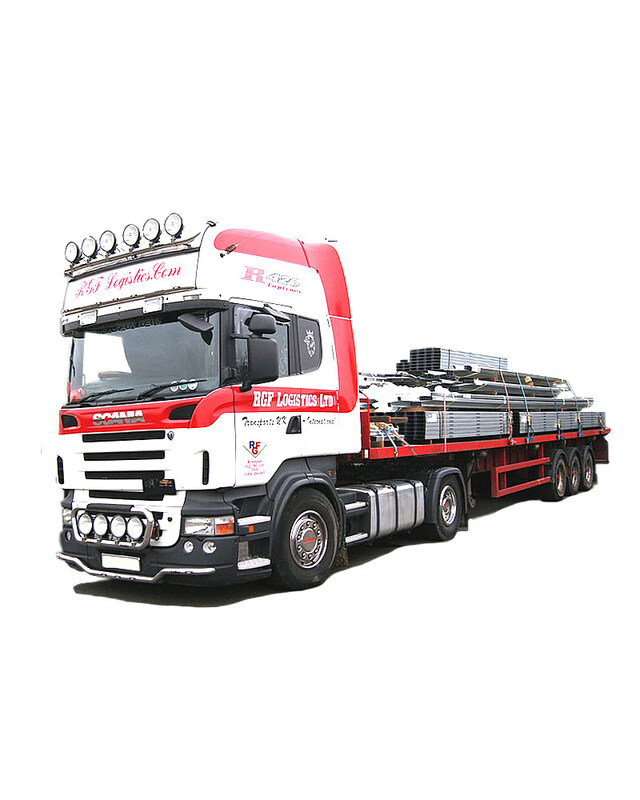 As an experienced haulier of over 40 years standing, RGF Logistics Limited is fully experienced in providing full load deliveries into Europe. We will collect your goods and use a dedicated vehicle for the entire trip, door to door. Our services are fully manned and your goods are not left unattended at any time during the process (even at the ports). We want to ensure that the security of your goods is kept to a premium and that your consignment is delivered in perfect condition. We can also take the option of looking for back loads coming into the UK - this is a great way to reduce our operating costs making the entire process more competitive for our customers. RGF Logistics Ltd has been around for a long time - we have operated successfully in a challenging market place for more than 40 years. In that time, we have built up knowledge and experience which is second to none, and this is reflected in our services. With continuous investment in our infrastructure, we offer our customers high quality transport and logistics solutions backed by a modern fleet and leading edge back office systems. To discover more about RGF Logistics Ltd and what we can do for you, call us today on +44 (0)121 783 1100 or send us an email by clicking here. One of the UK's leading traditional haulage and logistics providers.